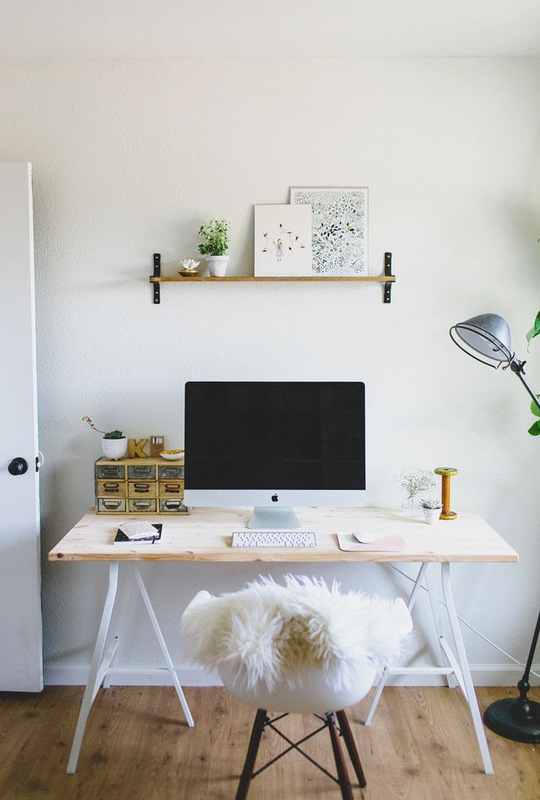 In honor of that first workspace, I've decided to do a more rustic-looking, yet modern, wooden desk- or should I say chic table? I think doing a gallery wall or some sort of inspiration board like in the second picture behind it will spice up the area and make it a little more glamorous. I can't really resist those gold legs in the second picture... Maybe a DIY will be in order! I love these inspiration photos! Room decor and home shopping is my favorite. It feels so mature and it's fun! I can't wait to see your finished product! I love love love the second desk! The gold legs make it look extra chic!